Knee supports are an essential aid for a number of different leg and knee injuries together with various medical conditions that that can become more apparent with age. Sporting injuries to the Cruciate ligament can be quite common. Football, rugby, and tennis players are all prone to such ligament problems as are many other sporting enthusiasts who indulge in activities that involve twisting and stretching the legs to extremes together with kicking, jumping and sudden bursts of sprinting from a stationary position. Contact sports can often lead to unintentional overstretching of the anterior cruciate ligament where the leg can fold under the weight of a tackle twisting the knee and putting extra stress to the joint and ligaments that support it. After such an injury our knee support braces give the correct compression to the surrounding tissue helping to reduce inflammation and swelling, ease pain and offer firm fully adjustable control to help stabilize the knee joint. It is always essential to seek urgent and expert medical advice after any leg injury but knee braces such as ours often recommended by health professionals to assist in recovery. As we all become older often our knee joints can become weaker and painful. This can sometimes be the result of an earlier injury to the leg or the onset of various arthritic conditions. Again early medical diagnosis by a professional is essential but our fully adjustable lightweight knee braces can offer much-needed support and relief to many arthritis sufferers. Our supports are made from a strong breathable material with an efficient patella stabilizer that will fully adapt to the shape of your knee and is easily fastened around the joint staying firmly in place throughout the day. Our knee braces will keep you comfortable, secure and supported, giving you extra confidence in your daily activities. 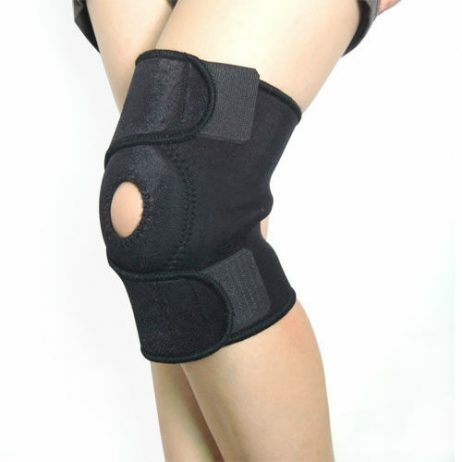 What medical conditions is this knee support designed for? How does the knee support work? The Nuova Health Adjustable knee support consists of breathable medical grade neoprene that ensures complete satisfaction, comfort and support. 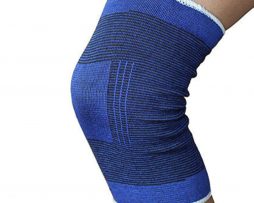 The knee support provides excellent heat retention and is also breathable to help prevent the build-up of moisture. 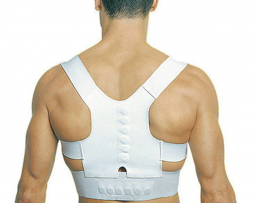 Can be worn for support all day or as and when it is required. Stopped me from limping around after a bad injury to my acl after landing and twisting on my leg which was outstretched in football. After a couple weeks I was finally ready to start playing football again but I still had a dull deep pain in my knee with physio and with the help of this knee support I was able to get rid of the dull pain and restore mobility in my knee again. Still wearing them even though problem has gone because it does help a lot protect my knee too after all my acl has been damaged and therefore weakened meaning it can be injured again more easily. You really cannot tell that I am wearing the knee support which is good as it is discreet and plus because it is lightweight it doesn’t affect my game. These are great. I needed something to support my knees during football that were lightweight and wouldn’t be all sweaty. Iv tried other cheaper ones and other more expensive knee supports and can safely say these are by far the best. Dont have anything bad to say about them. I have been searching for a good knee support for a long while now finally found this one! After injuring my knee a while back now I have suffered from knee pain to instability in my knees but finally I stop worrying about my knees and put focus on my sport instead because thanks to these supports for the first time in a long time I can now play football without worrying about the pain to my knees afterwards. All round good support, does what it is meant to, fast devilry and one happy customer here! REALLY GOOD QUALITY! Was a little apprehensive at first after buying other supports online from other places that didn’t work and caused my knee pain to get worse, thankfully these are great. The Neoprene is really breathable and lightweight which stops my knee from getting all sweaty when im wearing it. Plus you can really feel the difference when you wear the support as the compression really targets all the important parts of your knee and keeps things in order. Found that when I ordered it came quickly a couple days later nicely packaged too.